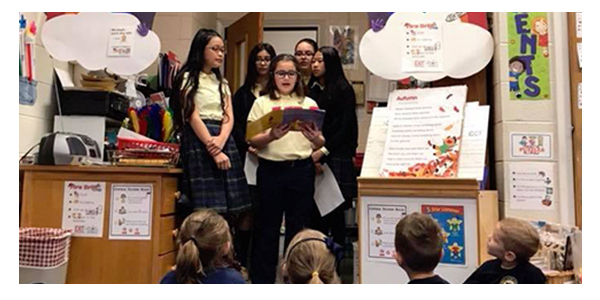 Holy Name School provides a faith-based education in which students build and deepen their relationship with Christ and learn about Catholic principles, values, and traditions. 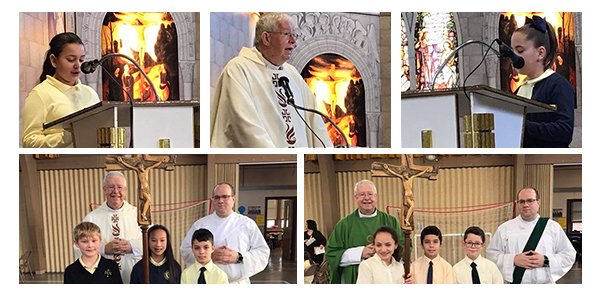 We are blessed to have Mass in school once a week. Fr. 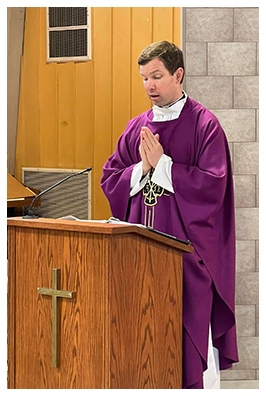 Jay also provides opportunities for students to go to confession, and most importantly serves as a visual representation of Christ’s love for each student. We are a group of upper school students whose goal is to be ambassadors of the Holy Name of Jesus. 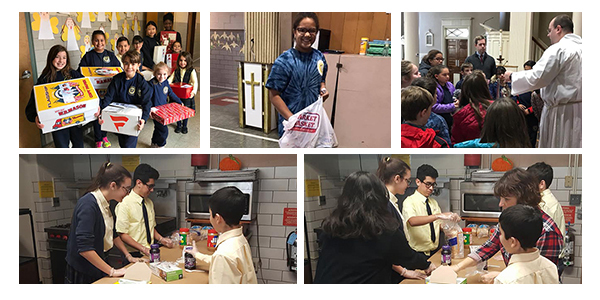 We meet monthly with the elementary grades to teach lessons of Christian life and lead the service activities of Holy Name School. We take bully prevention seriously. Please read our Bully Prevention Plan for more information. These testimonials come from a few of our student ambassadors. We are lucky to have such amazing students who want to make our school a better place! Our goal is not only to impart knowledge of our faith, but more importantly to provide students an opportunity to experience the living faith. Prayer is an important component of school life. Students start each day with prayer, and when students or the school community face difficulties, they gather together to pray.